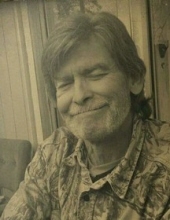 Albert “Red” Randall, 55, passed on from this life on March 28, 2019 in Houston, Texas. He was born on February 26, 1964 to parents Robert and Barbara Randall in Lake Providence, Louisiana. Albert liked to spend time drawing. He was also quite the handyman. Albert is preceded in death by his wife, Lisa Diane Tucker; and brothers, Robert Quentin Randall and Samuel Edward Randall. He is lovingly survived by his parents, his children, Quentin Ray Randall, Jason Lee Palazzo, Amber Lee Palazzo; sister, Tina Williford; grandchildren, Carmen, Mason, Tarin, Dylan, Cody, and Diane; as well as numerous extended family members and friends. The family invites you to join them for a visitation on Tuesday, April 2, 2019 from 6:00 P.M. to 8:00 P.M. at Carter-Conley Funeral Home. Funeral services will take place on April 3, 2019 in the chapel of Carter-Conley Funeral Home at 10:00 A.M. Graveside services are to follow at 11:30 A.M. at San Jacinto Memorial Park Cemetery under the direction of Carter-Conley Funeral Home. To send flowers or a remembrance gift to the family of Albert Ray Randall, please visit our Tribute Store. "Email Address" would like to share the life celebration of Albert Ray Randall. Click on the "link" to go to share a favorite memory or leave a condolence message for the family.